This picture is taken from Problem Pictures Themes, a CD-ROM of photographs with activities for mathematics teaching. How many oranges are here? 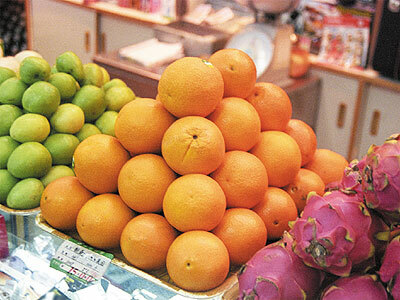 A shopkeeper builds a similar pile of oranges but with one extra layer. How many oranges would this have? What size of pile could you build with a box of 200 oranges? The photographs and screen images on this website are copyright and may not be reproduced without permission. Copyright © Richard Phillips 2001/2007. Page updated 13 July 2005.